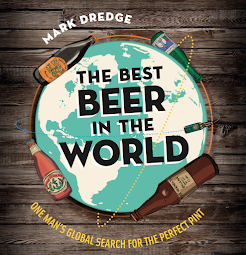 Mark Dredge - Beer: Announcing: Blogger Tweet Up in Sheffield! CAMRA's Natonal Winter Ales Festival is being held in Manchester that weekend - you may find the Manchester pubs rather busry. I'd love to come, but I cannot pop over every month! There's nearly always a game on, it just dictates which end of town you start drinking in and when. You'll never see all the good pubs in one day anyway, not unless you really fancy visiting at least a dozen in a day. And don't forget that the Dronfield Coach & Horses is only 30 minutes away by bus... mmmm Sunday lunch! Haddonsman, that map is terrifying and exciting at the same time! I forgot Kelham Island Tavern, that's a must and Coach and Horses is very tempting... Perhaps we should arrange a mini bus for the day to drive us everywhere!! I do hope some bloggers will try and get along to the festival. There will be plenty interesting beers including some rare ones. If anyone needs a ticket for the trade session as they intend to write about it, just let me know. And bloggers - why not do both? Manchester first then a hop and skip down to Sheffield - on different days of course. Aw...bad timing. I've been wanting to go up North for a while but I'm throwing a party on that very day. Ahh, would've been tempted to travel up from London too. I've got the week after off work and will probably end up going away (including that weekend) though. If anyone wants to pop out and see Thornbridge, by all means get an earlier train to Dronfield, I can pick you up (well, three people anyway), we can head out there then head back in to Sheffield for a beer. Count me in, i'll be coming up! Kelly, cheers mate, I'll be in touch. Mark, Manchester beer fest would be good but I'm banking on you taking me to North Bar on Sunday :) The beer fest could be done on Friday if you can take a day off? That really is exceptional value! If I don't go away on holiday, I'll do my best to make it too. Off topic: Seeing as you appear to be something of a cheap fare hunter, you dont have any tips for using trains in the South East do you? I pay three times that Sheffield fare to travel probably half the distance from London into Kent. Tandy, did you say beer bloggers can have a free ticket to a beer festival if they write about it? any free grog thrown in? I regard beer bloggers as trade. Ticket yes - free grog - no. Sounds like a great idea, I may well be able to wangle the day off (perk of doing the rota). I'll let you know. Lots of people so far, exciting stuff!! We'll blog more about it in a few weeks. Until then... Buy your train tickets!